The gnocchi that’s fancy—but street smart. 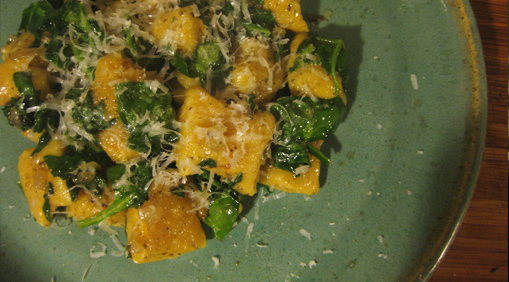 RECIPE: Butternut squash gnocchi with spinach and sage. It appears you were more interested in the post I briefly TALKED about instead of the one I actually MADE last week. Grass is greener, eh? Fine then. You win. What I failed to appreciate about this lovely recipe, was how long it takes. It’s like that pie. Forever for greatness. So. Gnocchi. Pronunciation: neo-key. Emphasis on O. Like, “Oh, wow can I have more—pronto?” It’s usually made with white russet potatoes + white flour + cheese and boiled and served like a pasta. So totally good. Not totally good FOR you. I thought it would work. All it made was a messy blender. But hey: repeated mashing with a wooden spoon works just fine. In fact, I will forgo the fancy food processing bit of the recipe entirely for you. Think of all the time saved! Mix with that potato. Wheat flour. Some nutmeg. An egg. So this recipe is from Nicole. How she manages to make this when she’s super busy saving lives (she’s a doctor) I have no idea. But she’s always been a fab cook. And old friend. 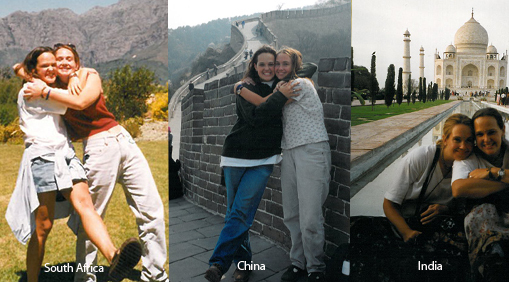 I miss traveling. Sigh. But I guess this gnocchi is like a mini Italy in your kitchen. Or that’s what I’m choosing to believe right now. I know, I skipped the fork rolling part where it makes a nice pattern on each little pillow. I’m taking the high class out of this gourmet recipe, aren’t I? With the no-extra-kitchen-appliances and anti-fork finish? This is the gnocchi from the other side of the tracks, yo. It’s not just laziness. It’s aesthetics. When I’ve made standard potato gnocchi before, I couldn’t get the fork-rolling right. It looked like kindergarten artwork. No good. Plain is better. So this original recipe called for melting a stick of butter with sage to toss the cooked gnocchi in. Whoa. 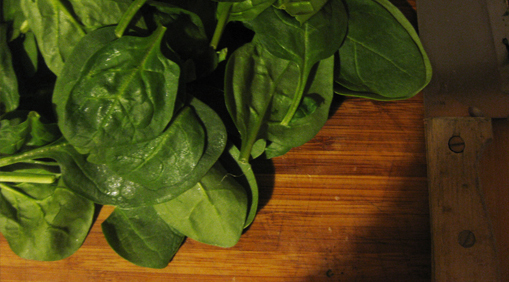 Although YUM, I opted for something healthier: olive oil with scallions and dried rubbed sage, tossed with fresh spinach. Four hours later, the meal is divine. The pillows are a creamy goodness with a hint of nutmeg. And greens. Light sage. All worth the wait. I should have doubled the recipe. RECIPE RATING: 5 of 5 glasses of your finest Italian red wine. You’re welcome. 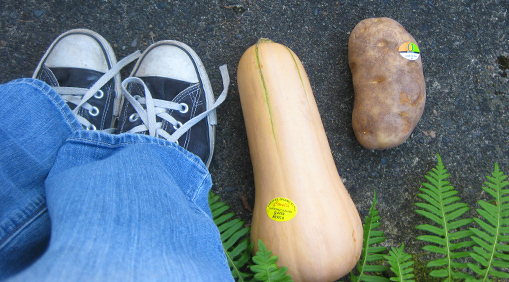 SQUASH: Cut squash lengthwise in half; discard seeds. 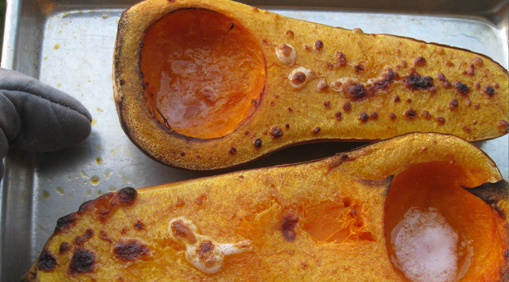 Place squash halves, cut side up, on baking sheet and brush with oil. Roast until squash is very tender when pierced with skewer and browned in spots, about 1 1/2 hours. Cool slightly. Here’s where it asked you to use a food processor to puree your squash. If it’s cooked enough, you shouldn’t have to though. So I’m skipping it. 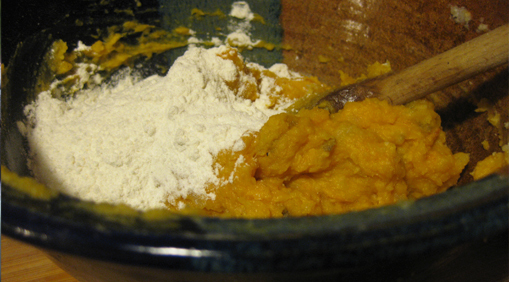 Scoop flesh from squash and transfer to a saucepan; stir constantly and smash into a nice puree over medium heat until liquid evaporate and puree thickens, about 5 minutes. Cool. Puree should measure 1 to 11/2 cups, packed. POTATO: Meanwhile, cook potato in medium saucepan of boiling salted water until very tender, about 20 minutes. Drain. While potato is warm, press through potato ricer if you have one. If not? Mash with a fork, trying to keep the potato light and fluffy; cool completely. Measure 11/2 cups (loosely packed) potato. MIX: Mix squash, potato, 1/2 cup Parmesan, egg, nutmeg, and salt in large bowl. Gradually add 1 3/4 cups flour, kneading gently into mixture in bowl until dough holds together and is almost smooth. If dough is very sticky, add more flour by tablespoonfuls. DOUGH: Turn dough out onto floured surface; knead gently until smooth. 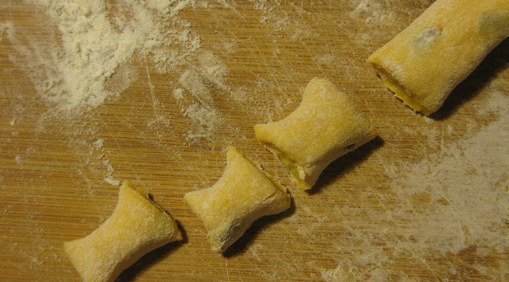 Divide dough into 8 equal pieces. I did this by cutting the rounded dough like a pizza into 8 slices. Cover with plastic wrap to keep from drying out. Line 2 large rimmed baking sheets with parchment. Sprinkle parchment lightly with flour. Working with 1 dough piece at a time, roll dough out on floured surface to about 1/2-inch-thick rope. Cut rope into 3/4- inch pieces. (Here’s the fork part, if you want it. I skipped it): Working with 1 piece at a time, roll gnocchi along back of fork tines dipped in flour, making ridges on 1 side. Transfer gnocchi to baking sheets. Keep loosely covered with plastic wrap. Repeat with remaining dough. Chill at least 1 hour. THIS YOU CAN DO AHEAD: Can be made 6 hours ahead. Keep chilled. BOIL: Working in 2 batches, cook gnocchi in large pot of boiling salted water until very tender, 15 to 17 minutes (gnocchi will float to surface but may come to surface before being fully cooked). 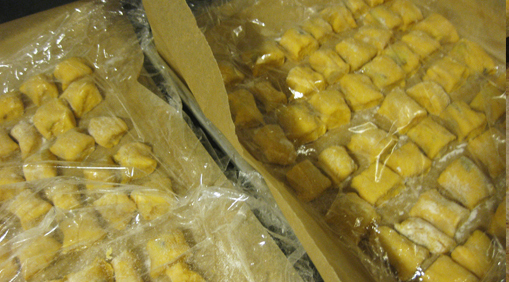 Using slotted spoon, transfer gnocchi to same parchment-lined baking sheets. Cool. CAN ALSO STILL DO AHEAD:Can be made 8 hours ahead. Cover and chill. SKILLET: Heat olive oil in a warm saucepan. 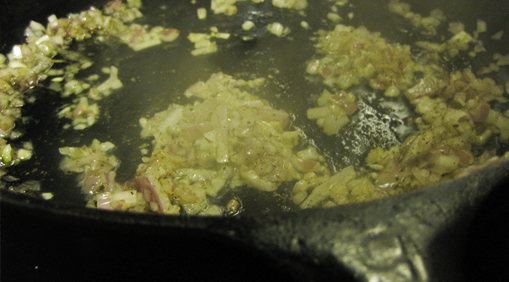 Toss in shallots and cook until tender. Add gnocchi, sage and spinach, tossing until coated and gnocchi is heated through, 3-5 minutes. Season with salt and pepper. Transfer to bowl. Serve with Parmesan. This entry was posted in 5 Wine Glasses, Dinner, Pasta, Uncategorized, Vegetarian and tagged gnocchi, sage, spinach, squash. Bookmark the permalink. 3 Responses to The gnocchi that’s fancy—but street smart. I think this was worth an extra glass of wine… Can we make it 6? I’ve never had gnocchi that I like, but this looks fabulous!! yeah, I would eat that. and I’ve never met a gnocchi I didn’t like, Manda! I’m sending you our extra potato ricer. House warming! !